A dam was being built in the Turkish city of Zeugma which was about to cover a lot of land with water. 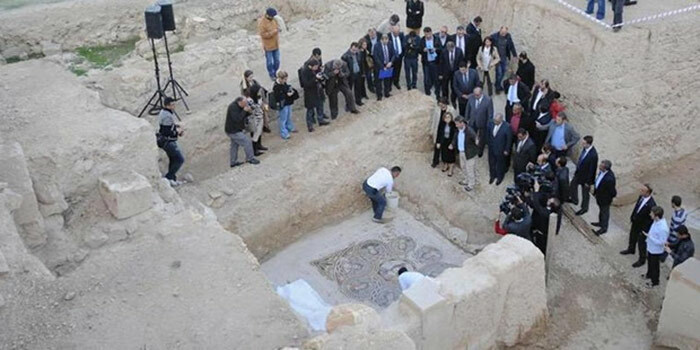 Historians and archeologists knew this land possibly contained ruins from over 2 thousand years ago so they immediately started excavating and searching before it was completely covered with water. While excavating the land a team of archeologists discovered something breathtaking. 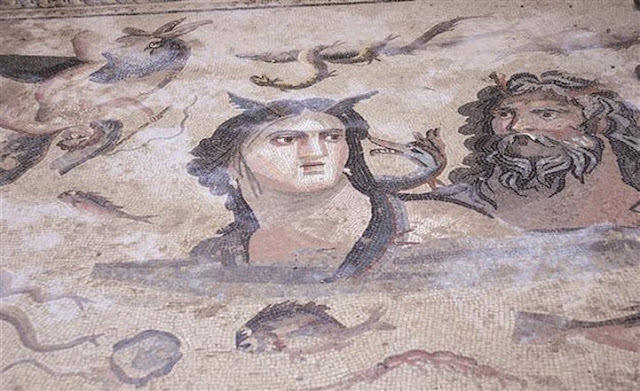 Fearing that the ancient treasures of their town of Zeugma would be lost forever due to flooding caused by the dam, archeologists rushed to protect and conserve these items. Some of the intact glass mosaics date back to the 2nd century BC. The colorful mosaics were integral parts of homes thousands of years ago. 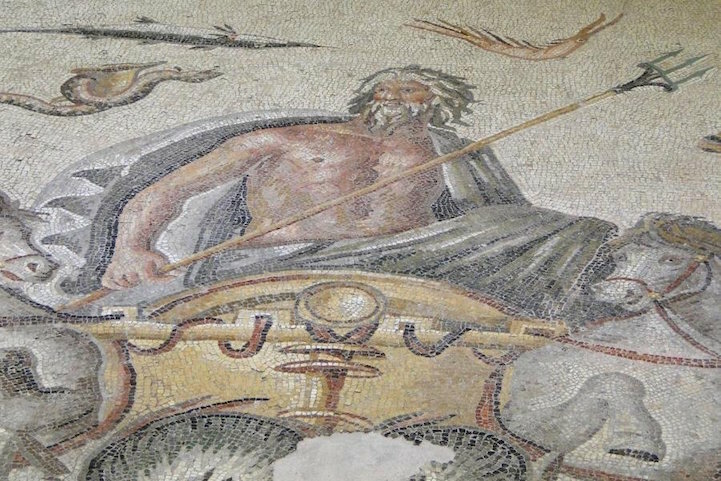 Depicting various mythological figures such as gods, goddesses, and ancient heroes, the mosaics were installed in a room so that guests could admire them while chatting and drinking. 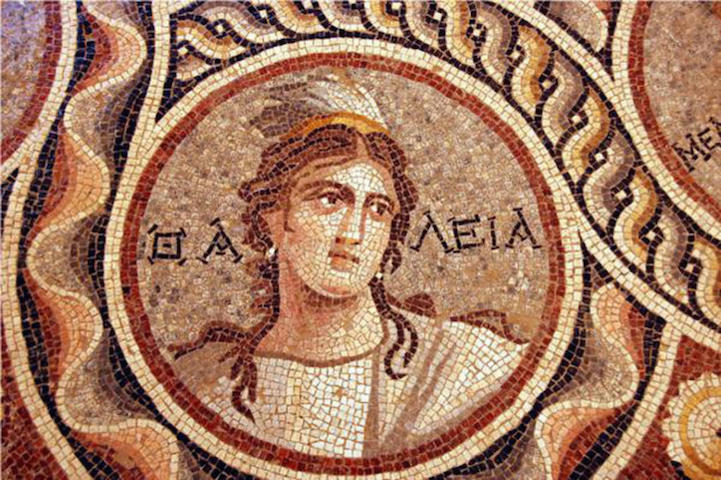 For several centuries, the town of Zeugma served as one of the most important centers of the Eastern Roman Empire. So these works of art are a very important aspect to the town’s history. 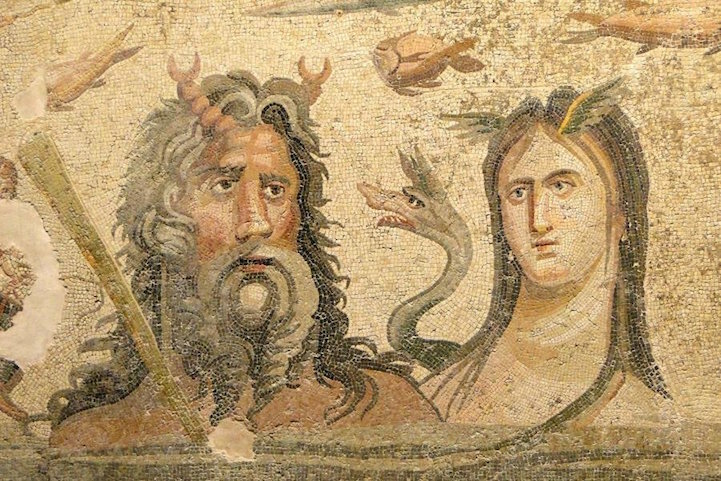 Oceanus, the divine personification of the sea, and his sister/consort Tethys, the embodiment of the waters of the world. The nine Muses, the goddesses of the inspiration of literature, science and the arts. These archeologists were forced to excavate this area in a hurry due to the impending flood. 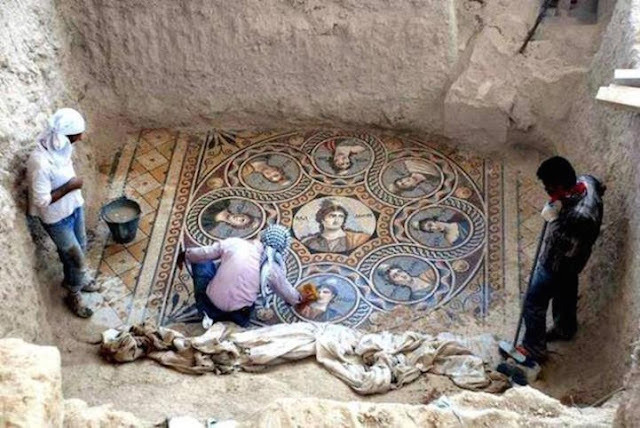 Their efforts paid off with a breathtaking discovery of these ancient underground mosaics. 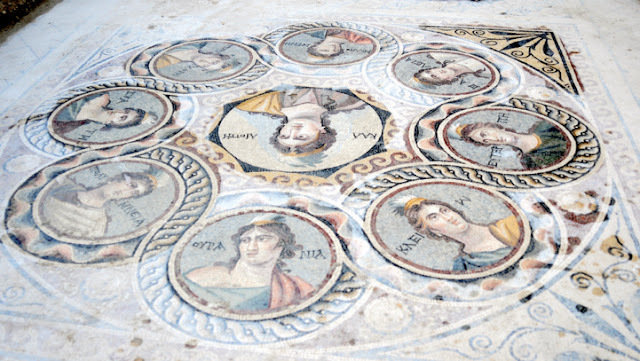 These stunning mosaics will help keep the history and beauty of this town alive.